Innovation does not happen in a vacuum. To bring about lasting, population-level improvements for children facing adversity, we must foster a collective movement. When leaders and change agents align their agendas, networks, and resources in support of a shared goal, they have the power to achieve larger and more sustainable breakthroughs for children and families. Through supporting active learning communities, designing leadership opportunities, and producing educational resources, the Center is building individual and organizational capacity to use science to drive new ways of thinking and working. These key concepts represent the foundational elements of the Center’s approach to fostering a movement of collective change that will drive innovation and transform the lives of vulnerable children. In order to achieve breakthrough outcomes for children facing adversity, the Center is highly involved in supporting learning communities. The following examples represent some of the active learning communities that are forming within the Center’s network. Leaders matter. The achievement of breakthrough outcomes requires a different breed of change agent who can work creatively across disciplines and sectors while aligning their efforts around a common vision. Our leadership development agenda focuses on senior leaders in their fields who are well-situated to drive innovation now; emerging leaders who are motivated to build the skills required to create and test new ideas; and the next generation of leaders, today’s students in research, policy, and practice. We want to equip current and emerging leaders in the field–including practitioners, policymakers, researchers, and others who believe in the shared pursuit of breakthrough impacts–with the knowledge and skills to drive science-based innovation. This targeted skill-building is needed to increase the number and capacity of people who will champion the call for fresh thinking, become more effective leaders in their own contexts, and help build a vibrant R&D dimension for the field. One such opportunity is our Executive Leadership Program for Brazilian policymakers, which draws on the latest research to provide public leaders with the knowledge and tools to design and implement more effective, science-based public policies and programs. The long-term sustainability of the Center’s vision depends on educating the next generation of leaders in research, policy, and practice to think and work differently within an innovation context. Beginning with the Harvard community, we’ve been experimenting with both formal and informal opportunities for undergraduates, graduate students, and postdoctoral fellows to prepare them to be part of a new vanguard of multidisciplinary, multi-sectoral agents of change. Our student opportunities help undergraduates and graduate students connect scientific discovery to a mindset of innovation that can be translated into policy and action. 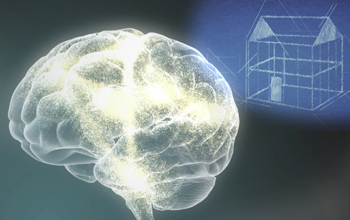 The Center strives to make the science of brain development actionable and accessible. We do that by translating the science into easily understandable language and concepts and producing resources in a variety of formats. The Center has developed additional tools and guides that provide practical advice for implementing science-based innovation in real-life settings. Browse the full list of Center resources. Filter by media type or topic.